There is a ghost in town that will probably not get busted or disappear into thin air. Every day gentrification becomes more and more a real issue transforming neighborhoods, streets, and buildings from affordable, multicultural and diverse to posh, homogenous and boring. But the issue of gentrification is not as simple as that. 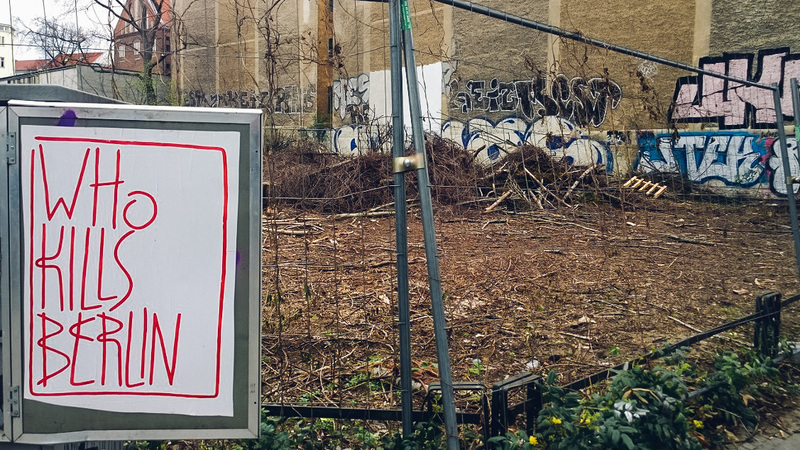 It’s a complex sociological and economic challenge Berlin is facing right now and solutions from politicians and urban planners alike are more than urgent. 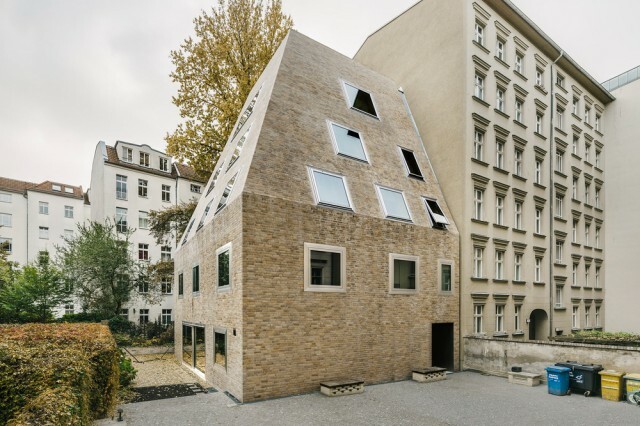 To understand the phenomenon from a different perspective we spoke to Itay Friedman who is not only researching and writing about urban development and architecture but also working here in Berlin as an architect. Dear Itay, thanks for meeting with us. When did you come to Berlin and how do you think the city has changed in the last years for you as an architect? Hi Claudio, thanks for having me. I first arrived in Berlin around 2007 but moved here officially in 2010. Berlin is constantly changing or I could say becoming more refined in what it is and wants to be. It’s very hard to separate between architecture per se and social and community development and growth. 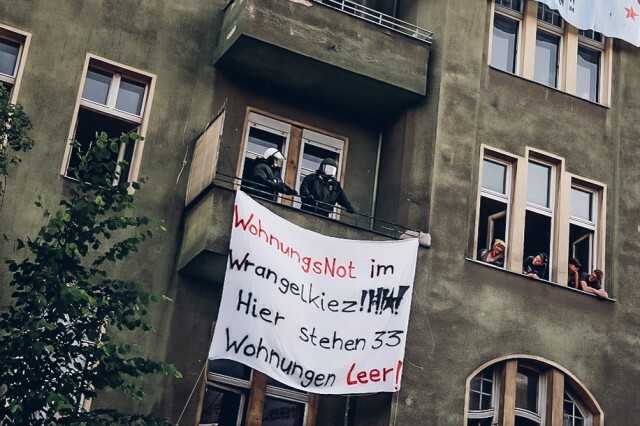 So if you take the broader perspective then one can understand that Berlin and nowadays Berliners are trying to change the power balance of the old social classicism structure that runs the city, creating a more fluid environment where it’s no longer just about the rich versus the poor, the landlords versus the squatters etc. And in that manner the city and it’s dwellers are more in search of permanent good quality solutions rather than the temporary shabby ones that governed it in the past. Can you tell us more about what you do and how you work within the city and what is your day to day inspiration? My office focuses mostly on residential and commercial projects with our eyes set on the more challenging cultural projects in the future. I always try as best I can to work with “end client” types that I feel there is a good connection with, for both sides. Regarding inspiration, I would say it is the people themselves and the local cultural diversity that most inspire me. In what ways are architects involved in urban change and in the gentrification processes from your point of view? That is a very good question and the answer is that both aspects are in many ways governed or involved in the architectural process. Saying that it is still not a simple one-dimensional answer as one would like. To understand more where architecture is involved, in charge, in control or merely acting as a conduit profession, one must understand the forces behind these urban occurrences such as government, lobbying, banks, wealth preservation and social agendas. On one hand, everything architects do, every act has an impact on the urban surroundings as subdued as this may be. On the other hand, our field has in many ways, long been governed by forces that conflict with the purest form of what architecture stands for. Or, in layman’s’ terms, some architects have let their wish or need to exist in the field overshadow their ethics, mandating these needs before the true needs of the public they build for. 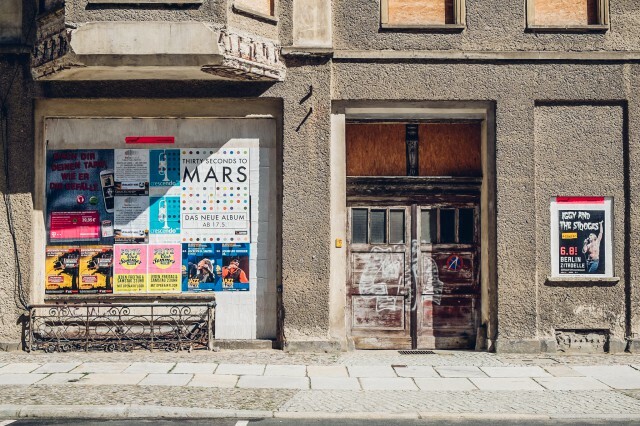 Can you name the biggest catalysts for the gentrification process in Berlin? Ok, that is a big one. you see the act of refining and renovation of deteriorated urban neighborhoods is not only governed by one singular motion of one building owner. But it is a theme when a city wants to establish better infrastructure alongside addressing social and economical reactants. This creates a chain radical stimulus that results in people focusing only on the negative aspects of gentrification rather than looking at what this can do to local services and resources etc. I think if I had to choose one way to define this so-called “catalysts”, it would be “ingenious marketing” or as some would call it “storytelling”. You see, everything creatively starts with an idea and a story. Then we project this outwards in the hope that we could make our idea a reality. 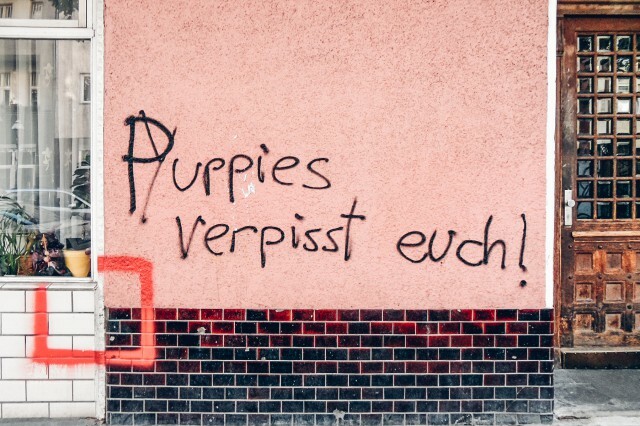 And as Germany is not an ownership state the story is, that people can become less dependent on the state and gain more financial freedom as well as disconnect themselves from the establishment. Gentrification is just the end result of the story that everyone can have a piece of a cake that used to be the epicenter of the rich and more fortunate. And the main players that allowed this process and profited from it at the same time is the general public, us. The ones that benefited from millions being poured into the public infrastructure, with funds that were sometimes obtained via mass sale taxes (if companies did not avoid paying them). Or banks giving so many affordable accounting and low-interest rates loans, allowing even a person with a simple nine-to-five job to own an apartment. Usually, when these questions and debates about gentrification do come up I always encourage people to educate themselves rather than get angry about this phenomenon. And a really good and easy way is through these two books I find speak volumes about this topic and in general give a wider perspective about architecture. Is there something architects can do to influence this catalyst? Absolutely yes. The question is, is our guild ready to put up that fight.And in some aspects, that the general public does not even know about, we are, but as before there are too many parameters at play. So we do not try to win a war against gentrification but the smaller day-to-day battles giving the public something back. And personally, I try to avoid working with clients that I get the sense are too greedy and have zero care for the public or, in other words, are there to purely exploit the business opportunity Berlin has to offer. Do these aspects of urban change, challenge or tackle your creative process in a way? When you think of gentrification you need to consider that some acts of gentrification can be by a private person buying a rooftop or a plot of land and wishing to build his/her dream home. In this case, we are referring to people who have worked a lifetime to gain the funds for this which in turn allowed them today to build/fulfill their dreams. With this clients, I would say it normally does not. On the other hand when you look at the gentrification from the developer’s side. More often than not they have no interest in any aspect of creativity and demand that everything should cost as little as legally achievable. Even the most basic dialogue with such clients does not even scrape the basics of the creative freedom the previous example of client gives. Lastly, and if you do find developers that do wish to explore more creative aspects they tend to be somewhat limited in their ability to even perceive the vast options of creativity. And that is completely understandable as they are neither architects nor have our calling or interest in bettering societies’ way of life. Even if they do have a flair for the creative, in the end of the day it is a business move that defines all final decisions. 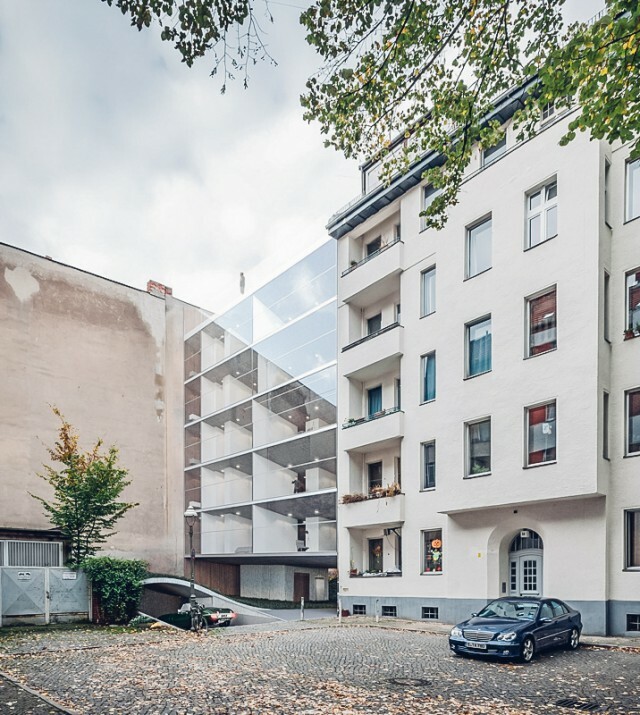 Are there projects or architectural concepts in Berlin that are good examples for a different way to handle things? Lastly, we need to remember that the story of architecture and its impact is a cross-generational dialogue. That can never be judged from one point in time. Is Berlin doomed to the same destiny of London, Paris and New York? A city for the rich and only for the rich? I think doomed would not be the right word to use. 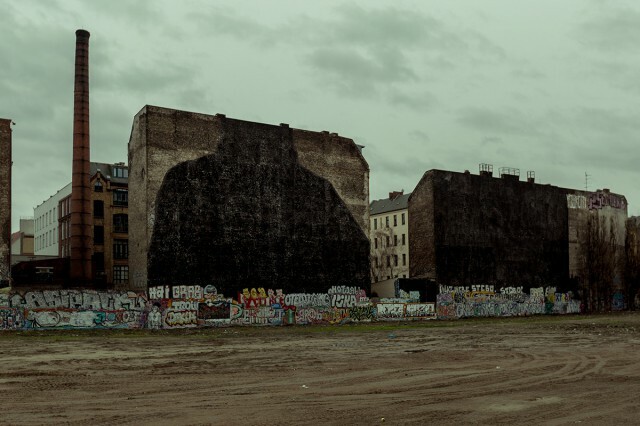 Berlin in many ways is evolving, growing and becoming its own future self. It is going through what every big city has gone through when it developed its multi-cultural, industrial and economical aspects. And in that respect, it’s doing quite a good job in surpassing London, Paris and New York by retaining its unique character at the same time as becoming its own future version. I don’t believe it will become any of the above-mentioned cities but it can not stay a bubble disconnected from trends and such a large influx of people moving here. Cheap accommodation or low living cost might not be in its forecast but it will by far still be a much more reasonably affordable place from other main metropolises. 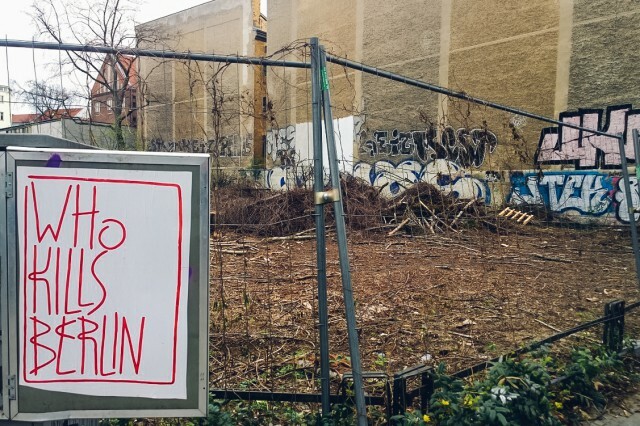 Any ideas on positive possibilities in urban politics that the city of Berlin should move towards in the future? I think the city of Berlin is now on a good path regarding promoting positive urban aspects such as social housing, public thoroughfares developments and cultural richness of activities. As long as that does not change (and most likely it will not) I think that is what will help Berlin retain its positive urban development outlook and future. Or as I once told a client prior to a meeting with the local authorities to obtain building permits for a development project.As long as the city feels that you are giving back to the community they will be more open to giving you what you want to have, but it is always a give and take the game. And in that relationship, the city, and its people will always have the upper hand. Thanks Itay for sharing your knowledge with us. 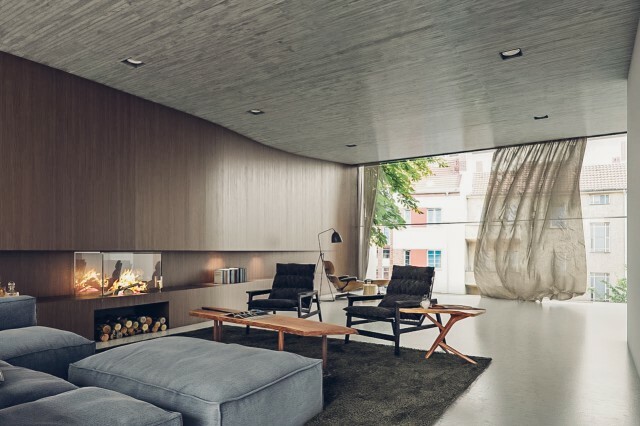 Itay Friedman is the head architect of a Berlin-based architecture office working on residential and commercial projects in Germany and Israel. Born in Israel and raised in Singapore and England, he has been living in Berlin, Germany for the past decade and considers his background, work, and style as Multi-local rather than multicultural one. To learn more about his work visit his website.